I have a story to tell, a story about freedom, and a wild society we call the Sentineli. In an age of big craziness, they inspire pleasant daydreams. It’s almost impossible for me to imagine how perfectly free they are, or to comprehend just how far modern society has drifted from the freedom enjoyed by my wild ancestors. 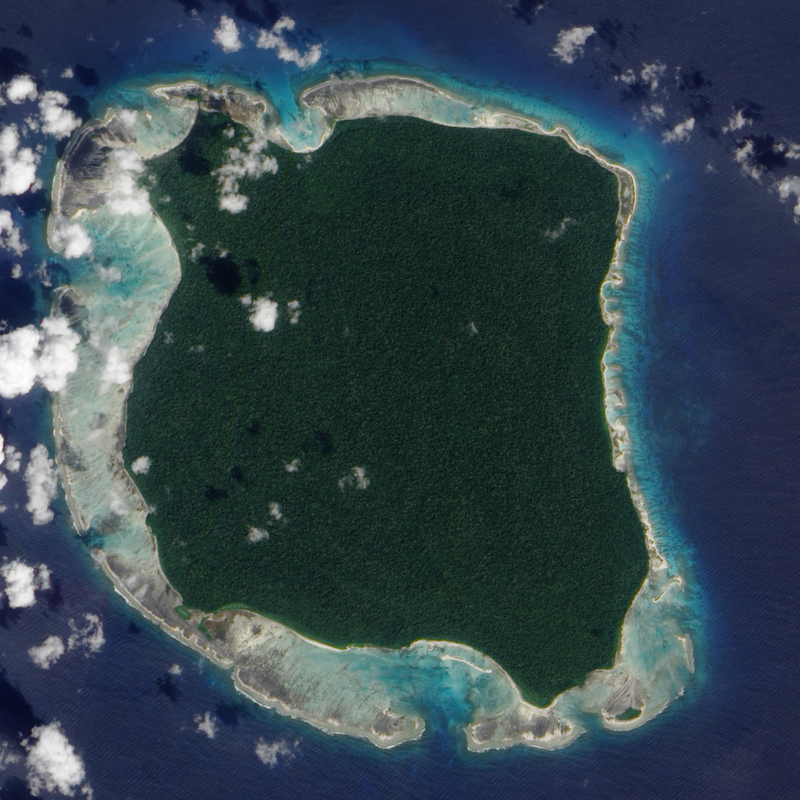 The Andaman archipelago lies in the Bay of Bengal. These tropical islands are part of India. 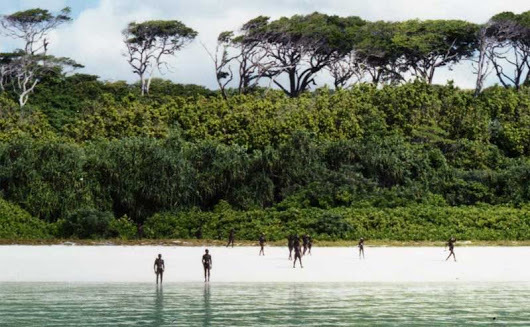 North Sentinel Island is inhabited by the Sentineli, a society of negrito pygmies who have short stature, dark skin tone, and peppercorn hair. Outsiders can sometimes view them from offshore boats, or from helicopters, but the Sentineli want nothing to do with outsiders. Intruders who get too close are showered with arrows, rocks, and rude comments. Flyovers have noted the existence of several villages with clusters of small huts. No evidence of agriculture has been observed. There may be 50 Sentineli, or 500, nobody knows. They survive by foraging, fishing, and gathering shellfish. They may also hunt for turtles, birds, and yummy invertebrates. Their small canoes are used in the lagoons, but not for open-sea travel. They fish with spears and nets. Long ago, two expeditions were able to land on North Sentinel. They brought along folks from a nearby island to serve as translators. In the brief and hostile meetings, the Sentineli spoke a language that the translators did not understand. Obviously, they have been living in isolation for a long time. They may very well be descendants of the folks who first settled in the Andaman Islands 60,000 years ago. 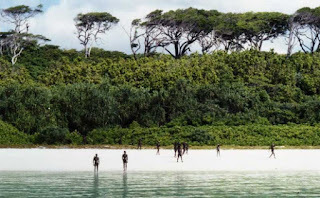 North Sentinel Island is a time capsule, the Sentineli still live like humans during the warm interglacial before the last ice age. In 1974, National Geographic sent an expedition to film the Sentineli. The director was promptly hit in the leg with an arrow, and immediately lost interest in the project. In 2004, when a ferocious tsunami rocked the lives of tens of millions in the region, the Sentineli made it to high ground and survived. Some believe that they have a sixth sense, because of their elevated sensitivity to the winds and waves. In 2006, rogue fishermen got too close, and two were killed. A helicopter sent to fetch their bodies was driven away. Between 1967 and 1996, a number of contact expeditions were attempted, for the purpose of anthropological research. Anthropologists are highly educated scientists. They were certainly aware that successfully making contact would have exposed the natives to deadly diseases for which they had no immunity. Like modern missionaries in the Amazon, they didn’t care if making contact would result in numerous deaths. On the bright side, anthropologists actually had sufficient intelligence to understand the strong message being sent via volleys of arrows and rocks. In 1996, the Indian government banned further contact expeditions, for any reason, in order to protect the natives from disease. The natives were clearly not begging to join civilization and enjoy the pleasures of shopping, taxpaying, cell phone addiction, and wage slavery. So, the Sentineli enjoy complete separation from the modern world. In an amazing demonstration of respect, wise leaders decided to leave these people alone, and allow them to live in wildness and freedom (unlike the other 1.3 billion Indians). Imagine what it would be like to live in a society that was not at war with the planet and the future — a genuinely sustainable way of life, a tropical culture with a year round supply of food, where your wardrobe consisted of a g-string, headband, and a couple leaves. Imagine a life without money, clocks, calendars, automobiles, airplanes, sirens, internet, locks, fences, bosses, salesman, presidents, police, classrooms, guns, dogs, nuclear weapons, taxes, racism, billionaires, and intolerant proselytizing religions. Imagine a paradise where the diseases of civilization were unknown. Contemplate the enormous load of information stored in your brain, accumulated during a lifetime of existing in a highly complex society, and your constant struggle to keep pace with competitors in the endless race for status, wealth, and power. Imagine being blissfully unaware of absolutely everything happening in the outside world — and the entire outside world knowing almost nothing about your society. Imagine having a healthy, simple, sane life — living in a manner very much like your ancestors did 15,000 years ago. Imagine living on an island where there were no strangers, where the soundtrack was waves, birds, breezes, and the voices of your friends and family. We weren’t meant to live like consumers. There are better paths. In 1891, Walter McClintock graduated from Yale, with plans to join his father’s prosperous carpet making business in smog-choked Pittsburgh. Luckily, he was spared from a dull job by getting very sick with typhoid fever. To recover, he took a trip to North Dakota, where he fell deeply in love with the west. 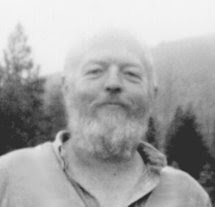 He worked as a photographer for a forest survey project, and became friends with the team’s Blackfoot scout, Siksikakoan. Later, Siksikakoan introduced him to the elderly chief Mad Wolf. Once Mad Wolf came to trust McClintock, he adopted the young lad as his son. Mad Wolf hoped that if his people had a white leader, they would receive better treatment from the incoming settlers, many of whom were not skilled at behaving with common decency. McClintock spent lots of time with a number of elders, listened to many stories, and several years later wrote The Old North Trail. He also took more than a thousand photographs, many of which illustrate the book. Today, a century later, Amazon lists his book as a best seller. It’s fascinating and easy to read. The Blackfeet lived on the plains east of the Rocky Mountains, from Montana up into Alberta. When the painter George Catlin met them in 1832, he said they were the happiest Indians or all. The Old North Trail was an ancient footpath that passed through their territory. In places, old ruts are still visible. Today, some suspect that it may have been 2,000 to 3,000 miles long, linking Canada and Mexico. Because many tribes used the trail, travel was dangerous. It was a common place for ambushes and tribal wars. In the old days, the Blackfeet used dogs as beasts of burden. Sometime before 1750, they acquired horses, triggering radical change. Horses greatly increased their ability to hunt, feed more people, wage war, haul trade goods, and zoom across the plains at superhuman velocity. Corn farmers became highly vulnerable to horse-mounted raids by neighboring tribes, forcing many to abandon their fields and become nomadic. After 1780, the Blackfeet were hammered by wave after wave of deadly diseases. Their population dropped by maybe 90 percent. By 1883, white folks had succeeded in nearly exterminating the buffalo, and this made the traditional Blackfoot life impossible. The tribe was forced onto reservations, given ration tickets, treated like dogs, and were not allowed freedom of travel. Missionaries introduced them to sin, hell, damnation, guilt, and submission. Teachers taught youths the ABC’s of civilization, using the English language. 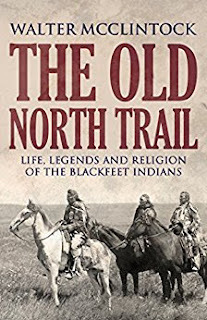 By the time McClintock arrived, many young Blackfeet were disoriented victims of cultural genocide, largely indifferent to their tribe’s customs, traditions, and religion. During important ceremonies, many would be drinking, gambling, or horseracing. Only the elders still remembered the traditional ways, and their days were numbered. McClintock wanted to record the story of these people, before their culture ceased to exist. The Blackfeet people fascinated McClintock, and he described them in a respectful manner. One night, McClintock awoke to discover a huge grizzly bear stepping over him to finish off his dinner leftovers. Grizzlies were still common. Wolves and coyotes often howled passionate serenades under the stars. Humans were not the dominant species; they were delicious two-legged meatballs. Modern folks, obsessed with glowing screens, would not have lasted long in a reality where man-eating carnivores were never far away. To survive, folks actually had to pay careful attention to reality, and behave in an intelligent manner. Imagine that! The people wore clothing of animal hides, and lived in tipis, in an ecosystem of scorching summers and long blast-freezer winters. Powerful storms could race across the plains at astonishing speed. On a pleasantly warm November day, McClintock noticed distant turbulent clouds that were rushing across the plains in his direction. Danger! The temperature sharply dropped, howling winds pounded him, and a whiteout blizzard commenced. He lost all sense of direction, and freezing to death was a strong possibility. He managed to return to camp. The storm lasted ten days. A vegetarian would soon starve on the plains. The Blackfeet survived by killing and eating their animal relatives. When natives died, their corpses were returned to the circle of life. The dead were placed upon scaffolds built in trees, called death lodges (like THIS or THIS). The Blackfeet did not arrogantly interrupt the circle dance of life with buried caskets or cremation. McClintock was amazed by how well the Blackfeet lived without thrashing their ecosystem. Whites did amazing things with science and industry, but the Blackfeet were superior in terms of their personal integrity. In no Blackfoot community could you find the “depravity, misery, and consuming vice, which involve multitudes in the industrial centers of all the large cities of Christendom.” By thriving in a lifestyle with few wants, they did not deteriorate into infantile consumers. The last chapter in the book has pissed off many reviewers. The preceding thirty-eight chapters did not provide, in any way, a flattering impression of settler society. In 1910, respect for savages was politically incorrect, and publishers were not fond of risky projects. The Blackfeet were hopelessly screwed. Whites were here to stay. Happy endings sold more books. So, the story concludes with a jarring shift. McClintock praised the integrity of the Blackfoot people, and was proud of their heroic advance toward Christian civilization. “The industrious are rapidly becoming self-supporting. Some of them live in well-made and comfortable houses, and own ranches, with large herds of cattle and horses. They wear white men’s clothes, purchased from the trading stores, own high priced wagons and buggies and make use of modern farming implements.” Hooray! McClintock’s book described how a healthy culture disintegrated into incoherence over the course of just one generation. Beliefs got us into this mess, not genes. I’m very optimistic that the coming decades of resource depletion, climate change, and the collapse of our economic system will provide a miraculous cure for consumer fever. Survival will require paying careful attention to reality, and behaving in an intelligent manner. Radical change in one generation is not totally impossible when the time is ripe. Think positive! McClintock, Walter, The Old North Trail, MacMillan and Co., London, 1910. A free download of the book is HERE. Over 1,400 of McClintock’s photos are HERE (click “View all images”). Below you will find a passage from Walter McClintock’s book The Old North Trail. It describes a portion of the ceremony performed on the first day of the Sundance. Note how it honors many of the other animals that inhabited the ecosystem. The ceremony was born in an era prior to the settler’s war on wildlife, and before the arrival of the cult of human supremacy. “I am now moving around.” The Pipe was laid down during the tenth song, all chanting in unison: “I will sit down.” In the eleventh, or buffalo song, all chanted: “I will take away the Chief’s (Pipe’s) robe,” and made the sign of the buffalo with their curved forefingers, while Mu-koi-sa-po and his wife opened the outside cover of the medicine bundle. They chanted the Antelope song and imitated with their hands the motions of an antelope walking, while the strings of antelope rawhide were being loosened. It was explained that the antelope is supposed to be opening the bundle with his hoofs. While loosening an inner wrapper, bound by strings of elk hide, they chanted an Elk song and made the Elk sign, holding their hands open on either side of the head with fingers extended to represent antlers. They imitated the actions of an elk as if loosening the wrapper with his hoofs. The time had now come for the dances to be held over the skins representing the spirits of the birds and animals included in the medicine bundle. Only members of the society danced with the Pipe, although it was customary for anyone, who made a vow, to fulfil that vow by dancing with a skin provided for that purpose. Whenever a prominent chief arose to take part, or an Indian who had performed some unusual feat, he was applauded by the spectators. Mu-koi-sa-po, as the recipient of the Pipe, did not rise to dance, but remained seated beside the medicine bundle, receiving the skins as they were turned over to him by those taking part in the ceremonial. While Lone Chief danced with the Pipe, the drummers beat time and chanted Bear songs. He imitated with his hands a bear holding up its paws, and, placing his feet together, moved backward and forward, with short jumps, making the lumbering movements of a bear running, breathing heavily and imitating his digging and turning over stones for insects. Then he blew shrilly upon his medicine whistle, representing the sounds made by the wings of the Thunder Bird, which comes forth in the spring at the same time that the bear leaves his winter den. He held the Pipe in his right hand, spreading out the fingers of his left in imitation of the wings of the flying Thunder Bird. During the Swan song, Bear Child danced alone, representing the chief Swan, the leader of the flock. He made the Swan sign, with both hands held before him, palms out and fingers spread in imitation of a swan sailing through the air with extended wings. In the Antelope dance, Red Fox made motions with his hands, in imitation of an antelope walking, moving the Pipe in the same manner and looking keenly alert, as if watching for an enemy. During the singing of the Crane song, the dancers imitated the motions of flying Cranes and gave the crane call. There were no dances for water birds, but the people remained seated, while songs were sung for the ducks and geese. Mu-koi-sa-po and his wife were painted, during the four Horse songs, sometimes called Resting songs. It was necessary to sing all the words and notes of these four songs accurately, because, if anyone made a mistake, misfortune would surely come to his horses. The Bee songs are sung by the owner of the Pipe as a warning, when he is angered, because anyone that angers a bee will be stung. The Bee songs are also believed to possess, not only power for making the owner proof against any spell, or evil charm, but also to cause the evil power to react upon the enemy that is trying to injure him. The woman’s pipe, which goes with the Medicine Pipe, has a plain flat stem and is not decorated. During the ceremonial, it was unrolled by Etomo-waki and was smoked only by the women. The Medicine Pipe is decorated with feathers and weasel tails. The owner begins smoking it by blowing a whiff first towards the sky and another towards the ground. The closing song of the ceremonial was the Good Luck song, which should bring good fortune to Mu-koi-sa-po. Whenever he might wish for anything, as owner of the Medicine Pipe, it would only be necessary for him to sing this song to have his desire fulfilled. My review of The Old North Trail is HERE. A free download of McClintock’s book is HERE. Over 1,400 of his photos are HERE (click on “View all images”). In 2016, the election slogan of TV star Donald Trump was “Make America Great Again!” One day, a pilgrim on the internet asked, “When was America great?” For someone deeply immersed in the study of ecological sustainability, the answer was obvious. America was great at least 15,000 years ago, when America resembled something like the Serengeti — a self-regulating (manager-free) wild ecosystem in a climax phase. In those days, America was a paradise for the indigenous mastodons, wooly mammoths, wooly rhinos, short-faced bears, cheetahs, saber-tooth lions, jaguars, and many others who are now gone forever. They had inhabited this ecosystem for millions of years, and successfully coevolved in it. This was their ancient home and community. I’m not exactly certain why there were so many extinctions, but all had survived hundreds of thousands of years of recurring ice age cycles. Experts with their high-tech gadgets assert that many disappeared from the stage in the same era that humans from Siberia arrived. Of course, other continents had similar experiences. Europe, Asia, and Australia were also great prior to the arrival of two-legged tropical primates, and then went downhill in the millennia that followed. Evolution is brilliantly simple — as conditions change, species genetically adapt via natural selection, a slow and steady process that has worked very well for a few billion years. Our innovative tropical primate ancestors figured out how to sneak around this time-proven process. For example, learning how to preserve and control fire was a big juju shift that no other animals have made. With fire, they were better able to fend off predators. They could stay warm in non-tropical climates. They learned how to cook, which made it easier to digest food. Cooking made many inedible substances edible, and these were added to their diet. Consequently, they could extract more calories from the same territory. So, the carrying capacity of their habitat increased, which led to more well-fed bambinos. This process is called cultural evolution — a deliberate way of altering our relationship with the ecosystem via learning and innovation, a process for change that was far faster than genetic evolution. With clothing and shelters, they could survive in cooler lands. With weapons and teamwork, they could kill animals much larger than themselves. When they first arrived in new ecosystems, the wildlife had no instinctive fear of them, which made hunting ridiculously easy. This led to more well-fed bambinos. Eventually, we became clever enough to live everywhere, even the Arctic. Cultural evolution gained momentum, transforming many societies of two-legs into ecological super storms. Technological innovation has given us the power to poison the oceans, erase vast forests, exterminate wildlife, and disrupt the planet’s climate systems — and we’re bloody proud of this. We call it Progress. Our closest living relatives, the chimps and bonobos (like all other animals), did not board the runaway train of cultural evolution. Their ancestors have lived in the same tropical ecosystem for millions of years, without wrecking it. Our DNA is ninety-nine percent the same as theirs. All newborn humans are wild tropical primates, expecting to spend their lives in a thriving Serengeti, but most of their parents have been entranced. Most newborns squirt out of the womb into a batshit crazy culture. This crazy culture imagines that one animal species (guess who) is superior to everything else in the universe, and no other species matters at all. In this culture, newborns grow up, go to school, get a job, and spend their entire lives wandering around amidst mobs of neurotic insecure tropical primates. Unlike wild humans, and other wild animals, consumers mature, reproduce, and die in a bleak space station culture of human supremacy. I once spent nine years in the forest. Humans would build a cabin in bear country, and live as if they were in a sterile suburban cul-de-sac where everything wild had been exterminated. They’d put their garbage (bear food) on the porch, which would attract… (guess who). A hungry bear would dine on the wasted food, the moron would race of the cabin with a high-powered rifle, screaming obscenities at the “problem bear,” and blow it away. The moron perceived himself to be the lord and master of the ecosystem. This attitude is perfectly normal in our culture. You see, the mastodons and wooly rhinos instinctively lived in an ancient time-proven manner — automatically, thoughtlessly, effortlessly — like the other species in the world. This is exactly why America was great. It worked! The American flora and fauna had succeeded in adapting to millions of years of ongoing changes of climate and habitat via evolution and coevolution. By staying on the traditional path, they did not nervously tap-dance through minefields of their own making. By adapting fire, clothing, and weapons, two-legs had moved onto a terrifically dangerous path. They had become far more powerful than bonobos or chimps. They were en route to becoming the mightiest critters on the planet — via culture, not genes — a treacherous daredevil experiment with no safety nets. To wisely avoid self-destruction, the innovative two-legs had to have foresight. They had to have respect and reverence for their ecosystem. They had to develop traditions and taboos that expected everyone to practice self-restraint. No other species had to struggle with these highly challenging responsibilities. Surprisingly, numerous human societies actually succeeded in living mindfully, until being clobbered by… (guess who). The Koyukon, Ohlone, Ojibway, and many other tribes carefully adapted to their ecosystems, and lived for thousands of years in a low-impact manner. Great, eh? Today, I’m living in a culture that generates staggering amounts of scientific data, but has pathetically limited foresight. There is little respect for this ecosystem. Self-restraint is seen as a disgusting disability in a consumer culture obsessed with unrestrained self-indulgence, and an insatiable hunger for status and power. History is clear that cultures like this one routinely trump the wild cultures of reverence, respect, and restraint. Civilized cultures mindlessly mangle everything in their paths. The Glowing Screen People inhabit a wonderland of technological progress — not a devastated ecosystem. They do not perceive the huge gaping holes in the family of life. They have no awareness of all that has been lost. They do not grieve the absence of giant condors, giant beavers, giant armadillos, giant bears. They have no memory of the great American Serengeti. They will barely notice the passing of the last lions and tigers and bears, and few will grieve their demise. Well, gosh, we’ve inherited an interesting mess, and it’s getting worse. This is the opposite of great, methinks. Genes did not get us into this mess, culture did — it’s a buggy software thing. Our nightmare is a swirling roaring pandemonium of dysfunctional beliefs, ideas, fantasies, and illusions — toxic cultural baggage. But our society is not required to continue operating on Ecocide 1.0 until the bloody end. We have the option of creating an entirely different operating system, in theory. Attempting to dominate and exploit the entire family of life has been a catastrophic experiment in megalomania and embarrassing foolishness. We’re not going to bring back the wooly rhinos and mastodons. America will not return to a healthy stable wild paradise for a very long time. People capable of thinking outside the box understand that the path to ecological sustainability travels in the opposite direction from the current path of windmills, solar panels, electric cars, nuke plants, voyages to Mars, and happy meals for eleven billion shoppers on antidepressants. Anyway, I wonder if this was the profound vision of “great again” that Donald Trump struggled so clumsily to convey — turning out the lights, walking away from civilization, going home sweet home, and living happily ever after. One grouchy grumpy day, Pope Adrian IV got honked off at Ireland. The Irish were not paying their tithes, and they were Catholic in name only, living in abominable moral decay. So, he ordered England’s Henry II to conquer the rowdy heathen barbarians. Along with the invasion went a secretary, Giraldus Cambrensis (1146 – 1223), a Welsh priest and scholar. (“Giraldus Cambrensis” was Latin for “Jerry of Wales.”) Father Jerry arrived in Ireland in 1185, and wrote a description of the emerald isle, Topography of Ireland. It captured a rare snapshot of what life was like more than eight centuries ago, when the Irish were still tribal people. At that time, Ireland was a remote and isolated frontier, largely off the radar of civilization. The landscape majored in forests, bogs, lakes, streams, and swamps. Boats were the easiest mode of travel. Stags feasted on the lavish banquet of foliage, becoming chubby and less speedy. Wolves dined on the abundant boars and wild pigs. The air and water were clean, and the rivers were loaded with fine salmon, trout, muddy eels, and oily shad. The tribes of Ireland were wild chiefdoms, and the lads and lasses were primarily cowboys and cowgirls. The climate was mild, rainfall was gentle and abundant, and the grass was green all year. Snows were rare, and soon melted away. It was a paradise for herbivores and herders. Herders needed no structures to protect the livestock from the cold, and they had no need for cutting, drying, and storing hay. Organic milk, grass-fed meat, wild fish, and little else, were on the menu every day of the year. The wild folks had no interest in adapting the latest European fashions — dainty, frilly, colorful attire. They refused to invest endless hours in the tedious drudgery of spinning and weaving fabric of flax or wool. Sensible people are not trend junkies, and dressing up in silly duds made you look like a goofy geek from Liverpool. It was simply too embarrassing. Sensible people wore skins and furs, which were comfortable, durable, attractive, and suitable for all occasions. There were veins of ores, including gold-bearing quartz, but the cowboys ignored them. Mining was brutally hard work, and their cattle refused to eat gold. Their lands were home to majestic forests, but the cowboys weren’t interested in forest mining. They had no need for lumber or paper, and their finicky cattle would eat neither boards nor money. A good deal of the countryside was potentially suitable for use as cropland, but very little was tilled and sown. Cowboys knew that soil mining was miserable, backbreaking work, and their traditional way of life worked just fine. Cattle were perfectly happy to eat the delicious grass. Tribes had abundant leisure time for making a joyful noise. Father Jerry had travelled as far as Rome, and he considered the Irish to be the finest musicians of all. Irish music was lively and rapid, and the harmonies sweet and gay. They mostly played the harp and tabor (a small drum). In those days, music was still genuinely sustainable. Musicians did not need huge tour buses, or dozens semis to haul speakers, amplifiers, lighting systems, stages, mega-screens, and dumpsters of cocaine and heroin. The people were strong and healthy. They did not waste years in lingering sickness and decline. They preferred to leap directly from good health to their deathbeds, and promptly get it over with. They did not know the days of the week, the names of the months, or what year it was. They kept time by the sun, moon, and seasons. History is clear that civilization trumps tribes. It also trumps healthy wild ecosystems. It trumps the wellbeing of generations yet to be born. But even before Henry and Jerry washed up on shore, tribal Ireland was not a place of love, peace, and happiness. Ireland was divided into many túatha, or petty kingdoms, the domains of chiefdoms. The borders often fluctuated, as chiefs ambitiously pursued the glories of perpetual growth. History is clear that the accumulation of property, including domesticated livestock, is a routine cause of wealth inequality, social friction, and war. Before becoming cowboys, the Irish hunted and fished. They could not capture and hoard wild stags or boars, so they avoided status-seeking mania, and the dark juju of bossy rich jerks. Countless millions have perished in countless wars resulting from the insatiable obsession of insecure people for more, more, and more. Today, many blame our woes on capitalism, but the roots of the monster are far deeper. Father Jerry wrote with flamboyance. The translation I read was clear and understandable. 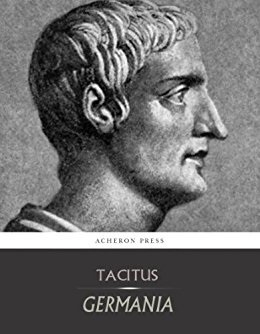 However, he was not skilled at remaining focused on his subject, and frequently wandered away to jabber about whatever came into his head. 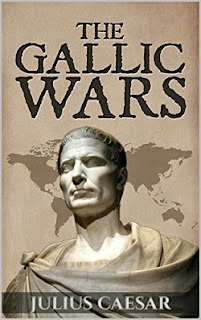 He wrote many books, including The History of the Conquest of Ireland. 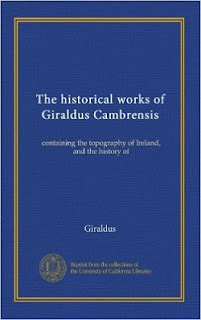 The Historical Works of Giraldus Cambrensis contains both of his books on Ireland, and his two books on Wales. A free download is HERE. Cambrensis, Giraldus, The Historical Works of Giraldus Cambrensis, George Bell & Sons, London, 1905. Hegarty, Neil, The Story of Ireland, St. Martin’s Press, New York, 2012. Bonus link: Traces of the Elder Faiths of Ireland. As centuries passed, and the human herd swelled, the strains on society increased, often sparking friction. In an effort to discourage chaos, many societies became more structured — codes of rules, conflict resolution systems, hierarchies of control and coercion. Tribes formed alliances with others, and these confederations often merged into states. In a shark pool of ongoing growth and overshoot, weak states were vulnerable sitting ducks. The struggle for survival was a never-ending challenge. It encouraged better defenses, stronger offences, technological innovation, and tough leaders. To nourish their strength, states had to focus on maximizing tax revenues, conscripting fresh cannon fodder, and promptly smashing uprisings. To do this effectively, they needed detailed censuses listing the names and residences of all citizens. They needed maps that illustrated the boundaries and fields of landed property, the names of the owners, and the economic output generated on each estate. They needed accurate street maps of cities. The better a state understood the society it controlled and exploited, the richer and more powerful it could become. James Scott is a political science professor at Yale. In his book, Seeing Like A State, he presents a tragi-comical exposé of bloopers and blunders performed by a variety of ambitious states in their quest for greater efficiency, order, and prestige — modernization. Chapter one takes readers on an illuminating visit to eighteenth century Germany. Prior to the coal age, wood was the essential source of energy and building materials — no wood, no civilization. Today, it’s impossible for anyone to know the actual amount of oil that remains underground, but in the forests of old Germany, the reserves of standing trees were perfectly visible to everyone, and they were getting smaller. Yikes! Folks having more than a few brain cells realized that if they wiped out the forests, they would wipe themselves out. Unlike modern society, which is fatally addicted to nonrenewable energy, old Germany had better options, in theory. Forests were renewable, in theory. Forests were complex self-regulating ecosystems, and their long-term health was seriously harmed by persistent attacks from gangs of vicious ax murderers. Unfortunately, the bureaucrats of the state didn’t understand this at all. When they looked at a forest, they saw precious treasure to be taken, and they throbbed with giddy adolescent excitement. Healthy, happy undisturbed forests included diverse communities of tree people, most of which were not valuable grade-A species, in the minds of greed-heads. In a sparkling shower of light, a brilliant solution fell out of the sky — scientific forestry! The treasure could be maximized by growing nothing but grade-A trees! Simply erase the messy old forest, and replace it with plantations of Norway spruce. These trees could be planted, evenly spaced, row after row, century after century. Every year, the volume of wood grown would equal the volume of wood removed, in theory. By 1900, scientific forestry had been adapted by cutting edge nations around the world. Whoops! Well, the first generation of plantation trees was awesome, having been planted in the fabulously fertile soil produced by thousands of years of old growth forests. The second rotation was less than awesome, and went downhill from there. Monocultures were always a magnet for pests and diseases. Spruce trees become chronically depressed slackers when planted in abused and depleted soils. Unhealthy root systems encouraged blow downs. This inspired the birth of a new word — Waldsterben (forest death). In other types of projects, growing states fooled around with strategies similar to scientific forestry. Scott says that these strategies were the offspring of an accident-prone control freak mindset, which he called the high-modernist ideology. It proclaimed that the path to utopia was lit by science, technology, and reason. He takes readers on a breathtaking whitewater raft ride through a number of high-modernist catastrophes, designed by a mob of half-clever smarty-pants. Vladimir Lenin, a leader in the Russian Revolution, was a devious super-ambitious control freak, determined to create a high-modernist utopia, by any means necessary. In order to rapidly industrialize the new state, he needed to rapidly industrialize agriculture, to keep the heroic factory workers well fed. The age of tractors had arrived, and many nations were becoming very excited about industrial agriculture. In the twentieth century, the Industrial Revolution was having powerful orgasms, and the entire planet was ravaged by a highly contagious epidemic of drug-resistant get-rich-quick fever. A fatal flaw in the high-modernist ideology was that it intensified civilization’s merciless war on ecological sustainability. Yes, scientific forestry was foolish, but so was the traditional low-tech forest mining it replaced. Scientific forestry just accelerated the wreckage. Yes, industrial agriculture was foolish, but so was the organic low-tech soil mining it replaced. The modernists could not comprehend the serious irreversible consequences of the well-intended mistakes they were making; they focused their full attention on utopian fantasies. Joseph Stalin brutally collectivized Russian agriculture. Millions of peasants were forced to work on huge mechanized farms. They were like slaves, even more oppressed than during the bad old days of the czars. Idiot bureaucrats, who knew almost nothing about the farms they managed, established impossible production quotas. If factory workers didn’t meet their quotas, they were still fed. The same was not true for farm workers. They starved. Folks who complained were deported or executed. This adventure in high-modernism resulted in at least 20 million deaths. The new Brazilian capital, Brasília, was a perfect city, in theory. It was designed by notorious geniuses, and then built on a bulldozed forest. It was the pinnacle of modernity, reminiscent of Albert Speer’s monumental designs for Hitler’s Berlin. Comically, the city that dazzled the avant-garde intelligentsia was despised by the thousands of miserable government workers forced to live in it. Life in Brasília was painfully bleak. Eventually, they built an unplanned city around the edges of perfect hell, where they could roll their socks down and enjoy life. Like a cat with nine lives, high-modernism refuses to die. Today’s modernist buzzwords include sustainable agriculture, sustainable forestry, sustainable cities, sustainable development, and so on. The ideology has thoroughly infected the cultures of the civilized world. It’s taught in every school, so the kiddies are prepared for a soul-killing life of sustainable consuming. In every facet of our lives, every minute of the day, the air is constantly buzzing with modernist memes. They define the specifications for how normal, well-adjusted, planet-thrashing consumers think and behave. Questioning is unacceptable. Don’t! Scott’s book is loaded with descriptions of quirky high-modernist escapades. It’s powerful medicine for folks who are beginning to experience doubts about the sanity of our age of astonishing wonders. No, you’re not crazy; you’re coming out of the trance. Good job! Welcome to reality! A free PDF of the book can be downloaded HERE. YouTube has an interesting 38-minute video of Scott HERE. 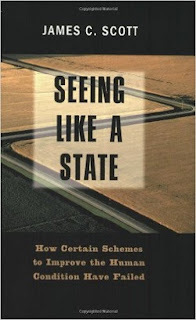 Scott, James C., Seeing Like A State — How Certain Schemes to Improve the Human Condition Have Failed, Yale University Press, New Haven, 1998.